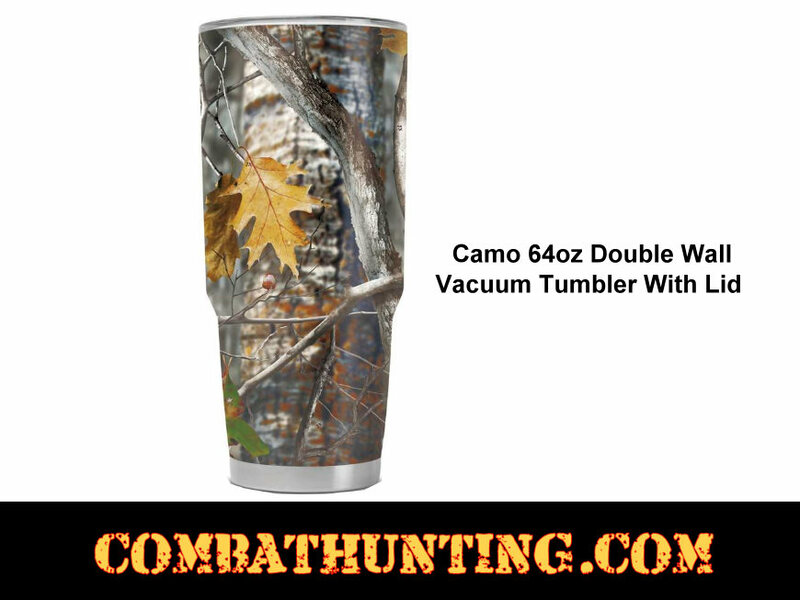 This big Camo Tumbler hold 64oz, it is Stainless Steel 18/8 Grade Double Wall Vacuum Insulation tumbler to keep your favorite beverages hot or cold on the go. 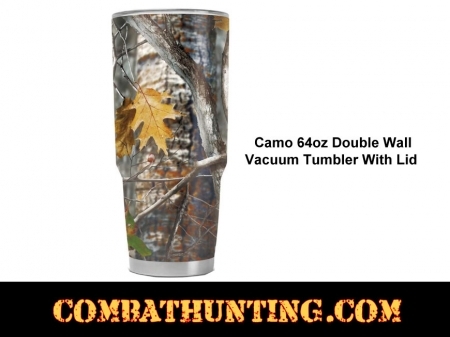 Take it with you to work or on a road trip when you don't want to stop and refill often. This giant-sized container is going to hold 8 cups of coffee, soda, soup or maybe some refreshing lemonade in the summer. So easy to clean with the convenience of long-lasting stainless steel. Just pop it into the dishwasher and you're ready to go again.